What makes a good nation brand? First, a good nation brand would have to serve a practical initiative. In other words, a good nation brand helps the govenment to better manage the nation’s image it wants to project to the world. A good nation brand helps the government generate the political and economic capital it desires. However, there is something more to a nation brand than a practical purpose. Like any good brand should be able to elicit emotional attachment from its users, a good nation brand needs the power to attract people across the world in its own unique way. The key to generate this emotional attachment can be done not only by enhacing the nation’s reputation with its economy, politics, history, and culture, but also by naturally forming the intergrity of the nation. This is the difficult part that requires time. This integrity can be created when the nature of the people of the country and actions of the government correlate with the image the nation tries to construct. How can a country like Australia fail to attract tourists? Coral reef, Sydney Opera House, Harbor Bridge, and the Kangaroos… Australia is one of the countries that have successfully unified its image as a vacation destination with its national image. 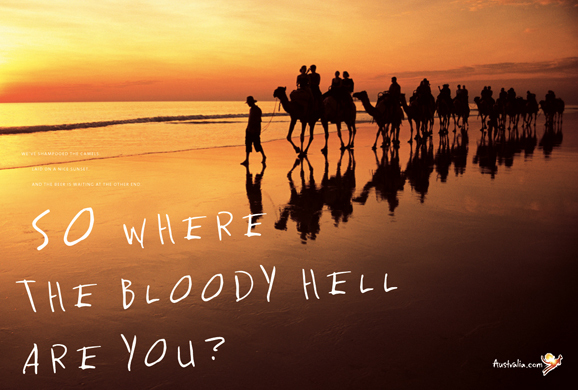 However, a few years ago Australia’s the “Where The Bloody Hell Are You?” campaign, one of its most ambitious campaigns, proved that Australia, too, can lose tourists. 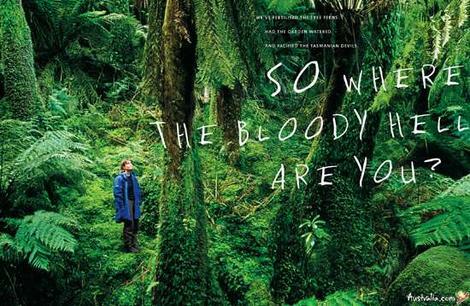 Tourism Australia spent $180 million Australian dollars to execute this campaign, targeting mainly United Kingdom, Japan, and Germany from 2006 to 2007. Unfortunately, the attempt brought adverse responses from other countries, leading both England and Canada to ban the commercial. The problems were the word ‘bloody’ and the implication of unbranded alcohol consumption from the line “We’ve poured a beer” respectively. Consequently, Australia had to suffer unexpected degradation of its image along with a decreasing number of tourists. Maybe Australia was a bit too bloody friendly to strangers.